You have helped us transform lives & assist partners in 8 developing countries. Our sincerest thanks goes out to the dedicated surgeons, audiologists , dentists, nurse co-ordinators, orthodontists, social workers and speech therapists who partner with Transforming Faces in China, India, Thailand, Ghana, Ethiopia, Peru and Argentina. 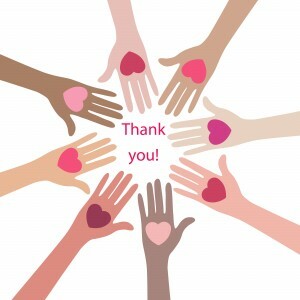 We would also like to thank you – our supporters! To those who donated, attended or sponsored our events, volunteered, emailed us, fundraised for us, read this blog, watched our videos, followed, liked and tweeted about us – thank you! It was a huge year for us! We were grateful that we were able to assemble our partners in Orlando for the Cleft Congress, supported training for some of our partners, and transformed lives. We celebrated 10 years of great work in Ghana, made huge strides in mobile speech therapy support in India and we’re almost ready to pilot an important database in South America. We have plenty more in store for 2014 – stay tuned for even more exciting news!